In unusual lighting, this is the view as you descend Beinn a' Chreachan just north of Tyndrum. 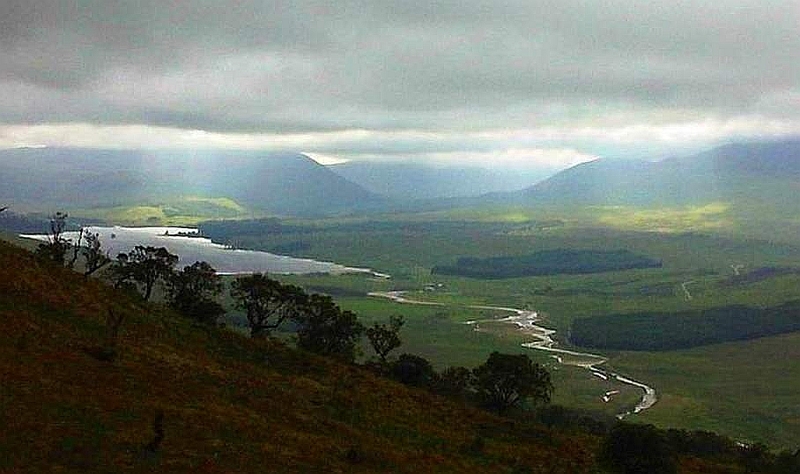 The plains offer an obvious route for the drove road that brought cattle down from the North through Tyndrum to the trysts further South. See Haldane's excellent book "The Drove Roads of Scotland", and my recent YouTube upload of the view above a parallel route from the Cairngorms.